I have had this Ross Riviera in my shed for a couple of years but have had the hardest time trying to place it's year of origin. 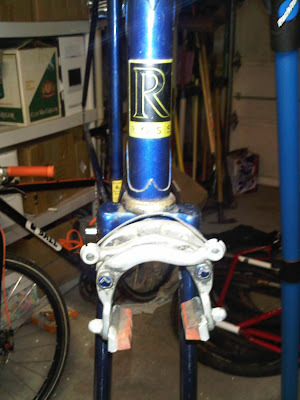 It has the classic lugs of a 1970s bike, along with bolted stem and shifters located on the stem as well. The manufacturer labels are surprisingly similar to the 1983 Ross Force 1, the first mountain bike made in America, and I found the Ross Riviera in a 1982 Catalog on Velobase.com that leads me to believe that this is not a 1970s era bicycle, rather 1980s. 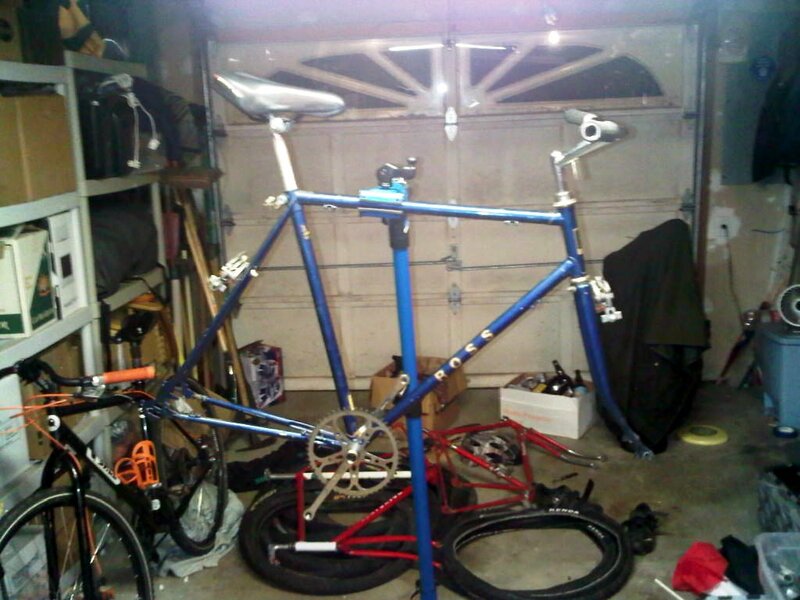 This bike fits the Old Crappy Ten Speed label (OCTS) because that's what it was when I got it. In fact, I believe the drive train was so rusty that it wouldn't even move. I had to disassemble the cranks from the inside because I couldn't get the crank off the spindle. 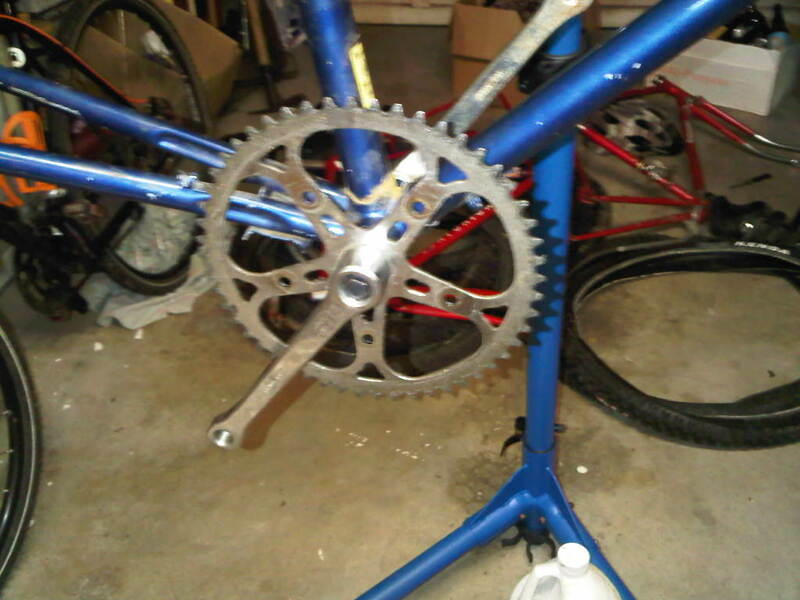 I ended up putting a 1970s era Sugino Crankset on with a 52t ring. These cranks are forged steel and super strong. 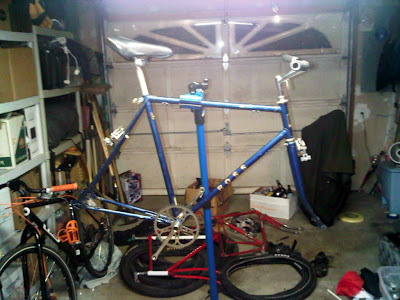 I am going to have to get an 19t or 20t cog for the rear wheel in order to make it more rideable for New England hills. 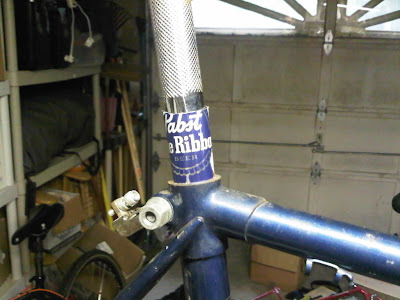 Originally I was going to keep the seatpost but it had a lot of surface rust on it and to make the only other seatpost I had was a millimeter too thin so I decided to use a PBR shim. None of my existing quill stems would fit but I have had these old Moose Bars laying around that fit perfectly. I will need to get some BMX levers and some colorful lock on grips. 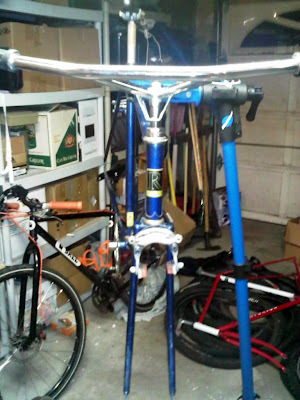 I finally found my Lambert Brakes and they work nicely on the bike, however, I have a change of mind and I am going to put them on Lambert instead and put a new set of brakes on that will look much nicer. Also, I think I am going to go with an Orange and Blue color pattern. Orange brake lines, Orange Chain, maybe an Orange saddle. It won't be that Annoying but it will look cool.